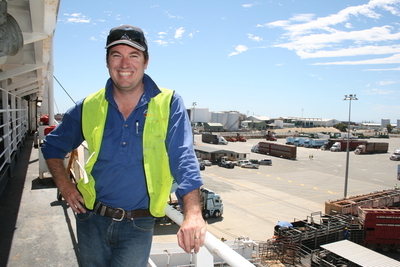 Livestock Shipping Services (LSS) is an Australian company based in Perth, Western Australia. Established in 1998, the company principals had over 20 years’ experience in the export and import of livestock. LSS has drawn on the invaluable knowledge and experience of its global partners to quickly become one of Australia’s leading live export companies. LSS’ highly skilled and professional staff have an in-depth knowledge of the live export trade and understand the needs of LSS’ global customers and how to best achieve optimal outcomes across all markets. The experienced operations and management team at LSS, ensures the entire supply chain of operations is carried out to guarantee best practice animal welfare outcomes, high quality livestock supply, financial returns for its customers, and compliance with all regulatory requirements. LSS has now been involved in the supply of top-quality livestock from Australia to markets around the world for over 15 years and has a market presence worth $180 million annually to the Australian economy. During this time, LSS has developed access to one of the largest livestock transport fleets in the world, currently comprising 11 livestock transport vessels. LSS has an expansive network of supply hubs around the world, including Australia, Uruguay, Brazil, Columbia, Mexico, Georgia, Romania, Bulgaria, Moldova, China, and the United States of America. This extensive network ensures LSS is able to rapidly respond to changing markets to ensure customer needs are satisfied by providing timely and high-quality results. Photo courtesy of Farm Weekly. Our vision and values are core to our everyday business. Our primary purpose is to provide quality Australian livestock to markets around the world. Our vision guides us in our efforts to achieve this, our values articulate the path to get there. Our people, our livestock, our customers and the community in which we work is what is important to us. To deliver optimal supply chain solutions for our customers around the world, in a manner that respects our people, our livestock, our customers and our communities. At LSS we pride ourselves on being a responsible corporate citizen and take our responsibility to each of our stakeholders seriously. As one of the largest live export operators in Australia, we have a core responsibility to demonstrate industry best practice and this obligation underscores the services we offer, the employees we hire and promote, the clients we engage with, and the way we intersect with and invest in our communities. We’ve built a solid reputation for professionalism by delivering on our commitments in line with our stakeholders’ expectations, professional standards, and the core values of our company. At the heart of our approach to Corporate Responsibility is a desire to give back, and a commitment to harnessing the strengths of our company to achieve positive outcomes for the community. Our corporate responsibility commitments are best understood through the values we use to help guide our actions: safety of our staff, welfare of our livestock, trust and integrity, being open and transparent, and continuous improvement. LSS believes that we have a responsibility to contribute to the welfare of the communities that we serve. Whether originating from our corporate headquarters in Perth, our regional locations, or our partners and subsidiaries, LSS connects with and supports the community in many ways. LSS supports a number of non-profit and community organisations and is also actively involved in promoting Australian agriculture through involvement with and sponsorship of key industry events, including; WA Foodbank, Pastoralists and Graziers Association, local sporting teams, Gulf Food – Dubai, UAE, Indofood – Jakarta, Indonesia, Golden Autumn – Moscow, Russian Federation and KazFarm – Astana, Kazakhstan. As part of the Meat and Livestock Australia/Livecorp research and development program, LSS is also assisting Murdoch University on projects around animal welfare.